Help your little ghouls and goblins get into the spooky holiday spirit with one of these 13 frightfully easy, delicious, and kid-friendly Halloween recipes and treats. 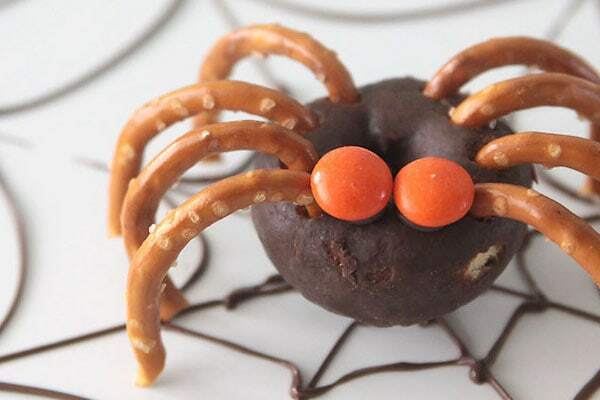 These Halloween treats from It’s Always Autumn take advantage of store-bought mini doughnuts to create a spooky yet delicious snack that kids will have fun both creating and devouring. While store-bought chips can be convenient, sometimes it’s nice to be able to make your own, especially when you can make them in a festive shape to celebrate a holiday. 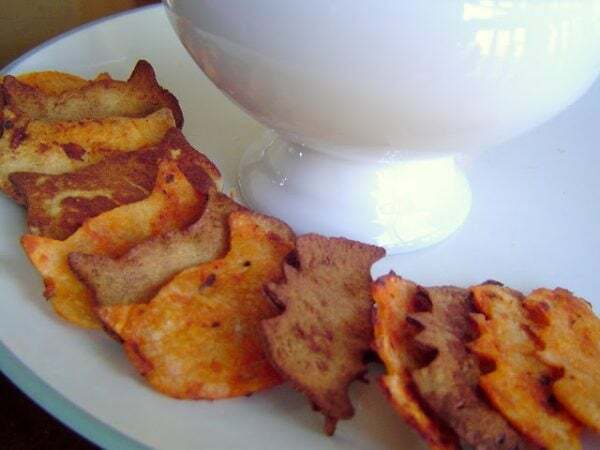 These homemade Halloween chips from Simply Designing are an incredibly easy, yet fun way for kids to get involved with party prep and pair perfectly with any number of dips. Use your favourite scratch brownie recipe or save time with the store-bought mix to whip up a batch of these spooky brownie treats from Amanda’s Cookin’. While they are a little more time-consuming to put together, the end result is frightfully worth it. 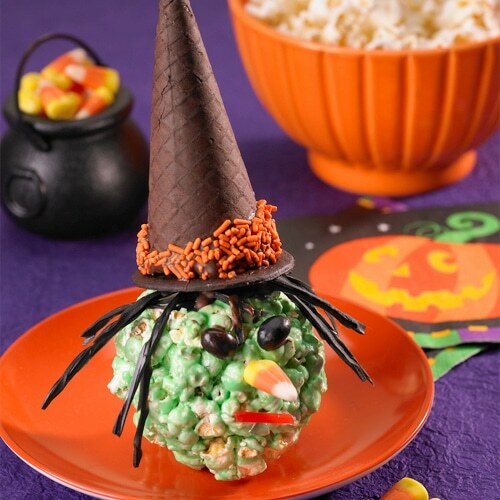 Quite possibly the sweetest witch you’ll see this Halloween, this recipe from The Popcorn Board is a creative way to sneak some whole grain popcorn into little snackers and even makes use of the love-’em-or-hate-’em candy corn for a festive nose. 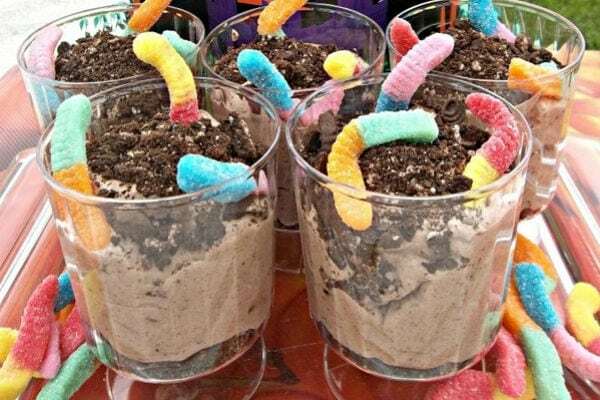 Quite possibly one of the easiest spooky treat recipes to put together, worms in dirt are a classic childhood recipe every little one loves. This recipe from The Simple Parent is sure to be a real crowd-pleaser at your Halloween bash or as an after-school snack. These monster cookies from I Knead To Eat make an adorable and spooky snack for your little monster. Best of all? 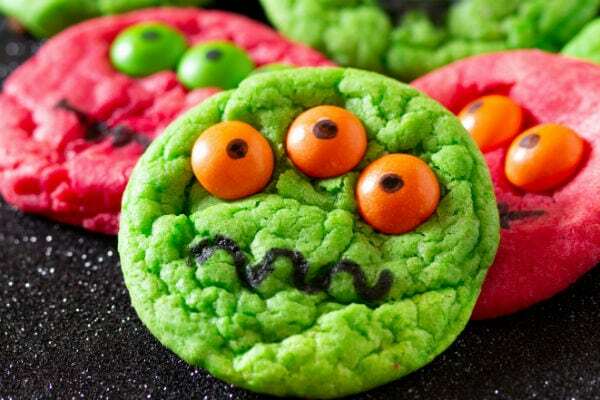 They are monstrously easy to make—it just takes a box of white cake mix, some food colouring, some Skittles or M&Ms, and some black icing for piping or black edible marker pens. The final touches (eyes and mouths) would make for a fun decorating activity for kids at a Halloween party, too! Bark is a simple yet delicious treat no matter what time of year and is easily adaptable depending on the season. 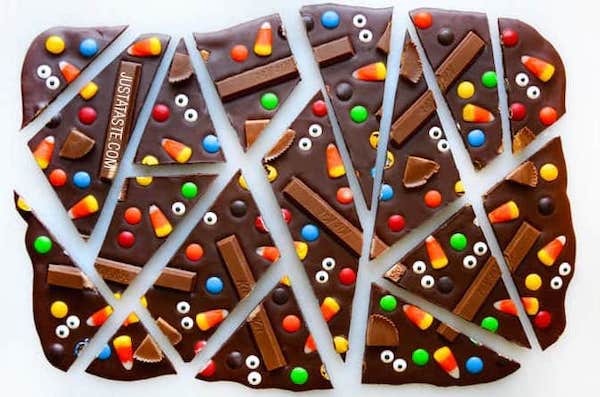 This recipe from Just a Taste features a number of favourite Halloween treats to create the ultimate seasonal bark recipe. 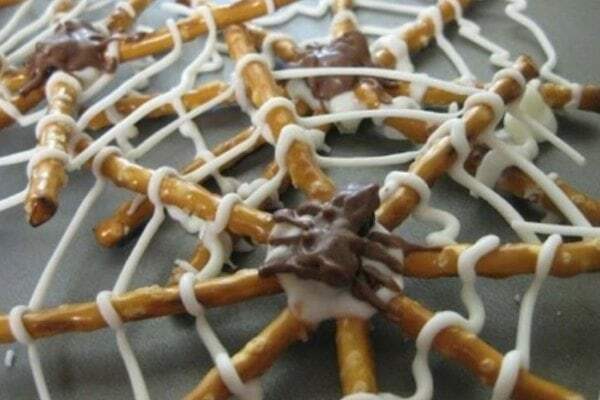 These spooktacular spider web snacks from Mom Endeavors are super easy for little ghouls and goblins to get in on the fun creating and rely on just a handful of store bought ingredients to put together. 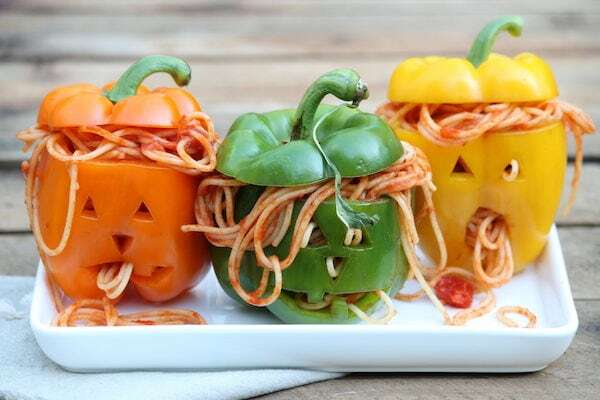 Why not bring a little Halloween cheer to the dinner table with these stuffed peppers from The Fountain Avenue Kitchen that make use of leftover spaghetti but could easily be stuffed with a hearty chili or stew. 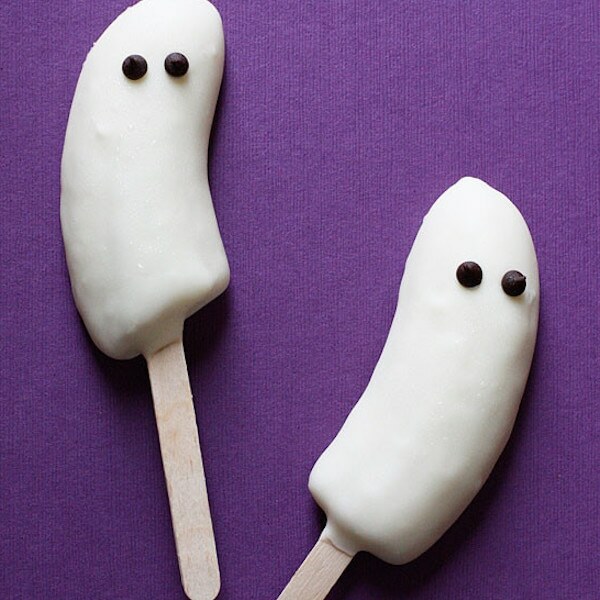 These frozen banana treats from Skinny Taste are a somewhat healthy festive treat to get your little ones in the Halloween spirit and is a fun project to get your little ones involved in. 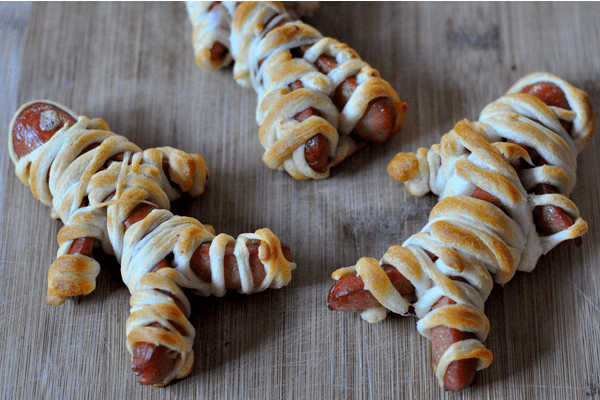 These crescent dough-wrapped hot dogs from Our Ordinary Life make for a spooky supper that’s easy to put together and sure to please the little monsters at your dinner table. Serve with a side of broccoli “grass” and whipped sweet potatoes dished out in pumpkin shapes for a complete festive meal. 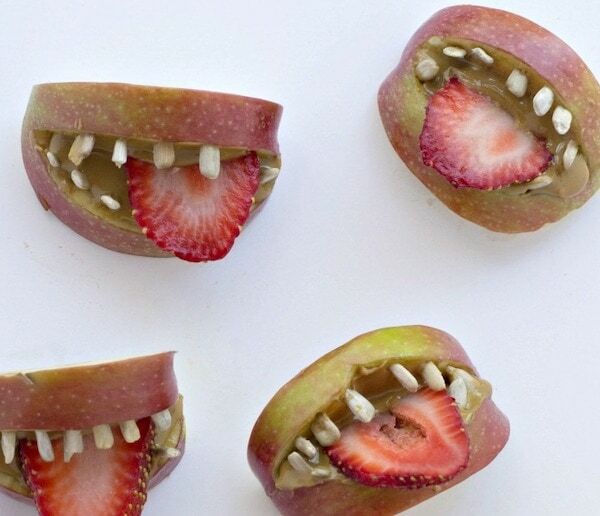 Another healthy Halloween recipe for the littles, these apple-based bites from Fork & Beans can easily be made with your family’s favourite nut butter and can be assembled in minutes for a healthy anytime snack. 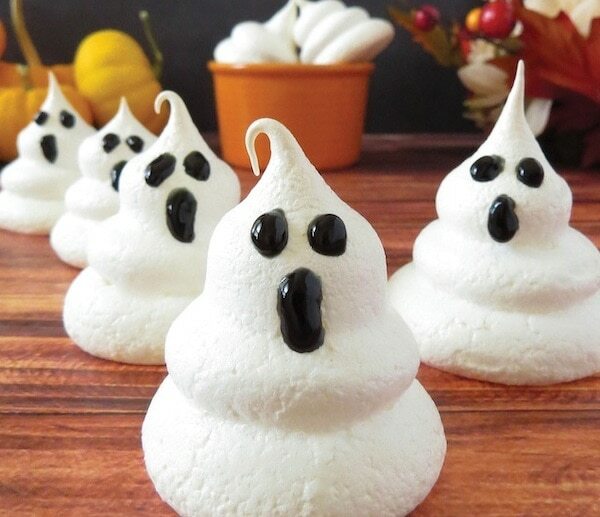 It’s easy to take the classic meringue and adapt it into a spooktacular treat as this recipe from Smart School House shows. Kids will enjoy getting in on the fun by squeezing the mixture out onto the baking sheet and decorating the finished “ghosts” with funny faces. 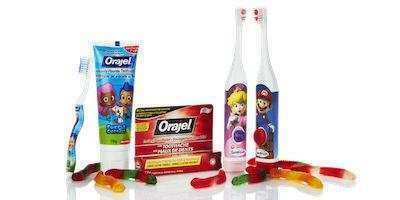 As Halloween (and candy overload) approaches, here are some great tools to make brushing your teeth fun for kids!